During the conferences given throughout this centenary year, a question which came up frequently was “what is a sacrifice?” or more precisely “how do we make sacrifices?”. This is an altogether legitimate question because during the second apparition of 1916, Lucia asked the Angel: “How should we make sacrifices?”. Moreover, these are the only words which Lucia spoke to the Angel during the course of the three apparitions of 1916. The question is therefore important. Even if it has already been discussed several times in these newsletters (see newsletters n°6, n°7 and n°58), it seems useful to go over it again. Lucia’s replies might seem contradictory. In fact, they are not, because in Portugese, to do penance does not mean engaging in mortifications; rather, it signifies conversion, coming back to God, fleeing from sin. This is surely the meaning that Lucia wanted to give to her words just after the apparition because a few moments before she had heard the very last words of Our Lady in that year of 1917: “Do not offend the Lord our God any more for He is already so much offended.” To convey our Heavenly Mother’s supplication to all those around her, but without giving away the words of the Holy Virgin, she could only ask them to convert so as to no longer sin. Moreover, this is what she confided to Canon Formigao: Our Lady wants us to rid ourselves of our sins. But what is the difference between sacrifice and penance? 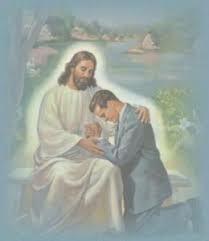 Penance, as understood in the Gospel and in theology, is an act of justice whereby the sinner recalls, with pain and confusion, that he has offended God, makes the effort to atone for this offense and to win back divine grace. “If you don’t do penance, said Our Lord, you will all perish”. Penance is therefore an effort or privation we impose on ourselves to make amends for personal faults or to earn a grace. 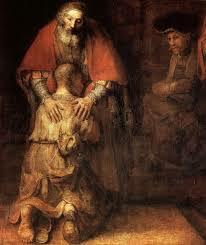 The penitent is someone who can redeem his faults. At the end of confession, the priest gives us a penance, the merit of which is the redemption of a part of the punishment remaining after absolution. As for sacrifice, it does not pertain to justice, but to charity. It is done for our neighbour. It is therefore more selfless, more endowed with love. We can impose it on ourselves, but it is also very frequently the simple acceptation with joy of a tiresome duty. Saint Louis de Gonzague said: “Mortifications which come from the seasons, from the temperature, are all the more commendable, when accepted bravely, for not being of our own choosing”. Thus, Our Lord did not die on the cross through penance: it was a sacrifice asked for by His Father and wholly accepted in atonement for our sins. Of course, it’s not a case of completely rejecting voluntary penance. After the apparitions, the little seers imposed numerous penances upon themselves, for example, wearing a cord around the waist. But there is an order: before imposing mortifications on ourselves, we should begin by accepting and offering up all the difficulties that we meet in our daily lives. What would be the use of fasting every day if we get annoyed at the drop of a hat? The offering up of sacrifices which we have not chosen for ourselves is what Our Lord asks for first of all. We will go further into this in our next newsletter. · that we send meditations to help with the quarter hour of meditation for the first Saturdays of the month. Before so many statements of support, some of them very touching, we have decided to continue with the work of Cap Fatima 2017, at least for another year, and eventually more, according to that which Providence incites us to do. As the apparitions at Fatima were particularly rich, this prolongation does not pose any real difficulty for the newsletter, other than devoting the time necessary to write it. For the first Saturdays of the month, a meditation on a mystery of the Rosary will be joined to the newsletter sent a few days before each first Saturday of the month, beginning with the first Saturday of the month of January 2018. We will propose dates for consecration to the Immaculate Heart for 2018.